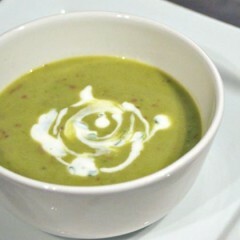 This soup is gently spiced with a sprinkle of curry powder and ginger and has a wonderful elegant creaminess. 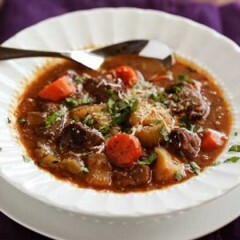 These hearty recipes will make mid-week dinners a snap and keep you warm all winter long. 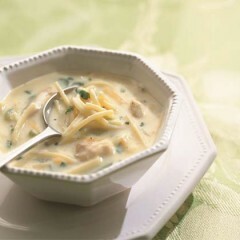 From classic egg noodle to rice, orzo and everything in between— there are few things more comforting than chicken soup. Come the winter months nothing hits the spot more than a steaming bowl of hearty soup. 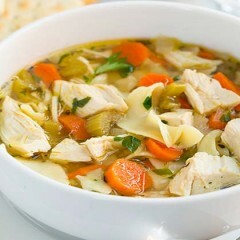 Enjoy the goodness of homemade chicken noodle soup, it’s easier than you think and tastes great! 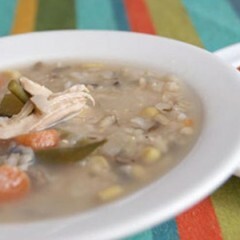 This soup is a comforting and easy meal for any night of the week. 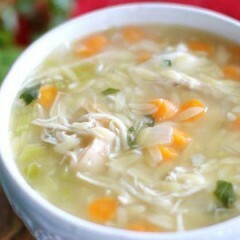 This “Get Well Soup” soup is just great, instant comfort in a bowl. 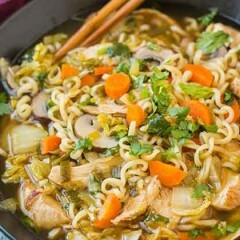 This soup is a classic and even hearty chicken noodle soup that takes minimal effort yet yields tender chicken, soft veggies and delicious results. 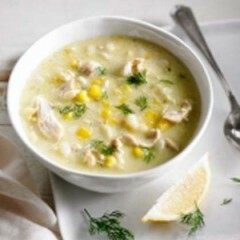 This soup is packed with delicious flavours and is a dinner the whole family will love. 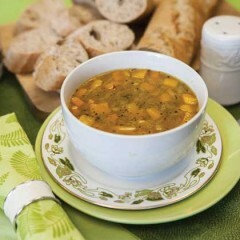 A blend of thyme, fennel, basil, savory, and lavender, the Herbes de Provence adds delicate and delicious flavours to this kid-friendly soup.